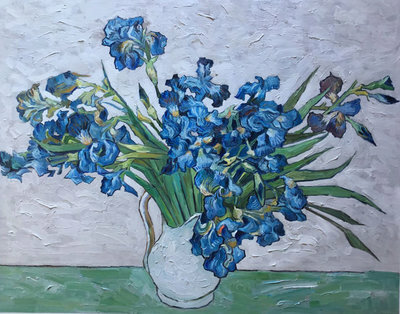 Vincent Van Gogh worked on the Irises series in the last year of his life, when he was living in an asylum in Saint-Rémy-de-Provence, France. According to Van Gogh, he had to continue painting because it helped him from going insane. There is a lack of high tension in these paintings, which was pretty common in all of Van Gogh’s later work. 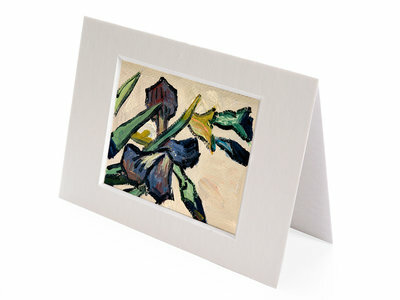 The paintings from this series include – Irises, Still Life: Vase with Irises, and Vase with Irises against a Yellow Background. The painting Irises was done by Vincent Van Gogh in the garden present on the southern side of the men’s quarters, which was the only part of the asylum he was allowed to work in during the first month of his time there. The entire painting has violet iris petals in vibrant colours, and they completely dominate the vivid marigolds and the vibrant red soil in the background. Since Van Gogh considered this painting as a study, there are no drawings of it. When Vincent sent this painting to Theo, his brother was superbly impressed by the masterpiece. So much so that Theo submitted Irises along with the Starry Night over the Rhone for an exhibition at Société des Artistes Indépendants. 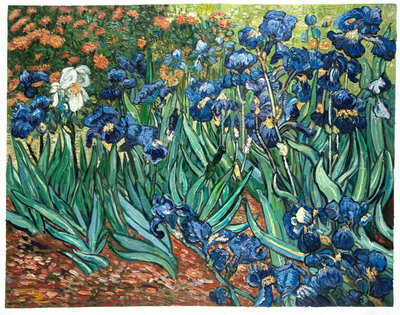 In 1987, Irises became the most expensive painting ever sold, and as of 2012, it’s on the top 10 list of the most expensive paintings, when inflation is adjusted. 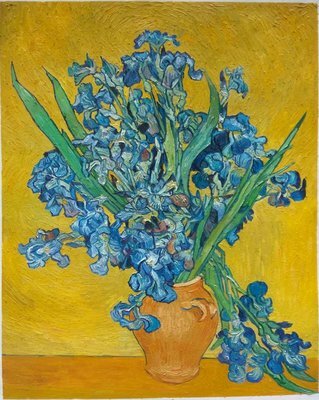 Apart from this, Still Life: Vase with Irises Against a Yellow Background is one of the most famous and well known still life flower paintings done by Van Gogh. It is speculated that Van Gogh painted this in anticipation to get out of the asylum. Also, this still life painting is very similar to Van Gogh’s past works. The Van Gogh Studio in Amsterdam is just a few minutes away from the legendary Van Gogh Museum. We have superbly talented artists from Holland and the rest of the world who have studied Van Gogh’s paintings and techniques for years. 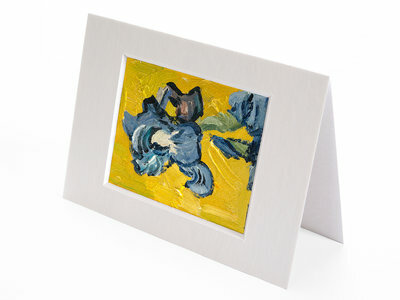 That is why every oil reproduction that we deliver is done to get as close to the original Van Gogh as possible.